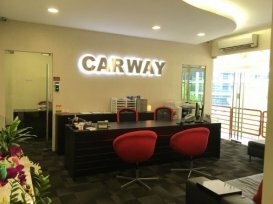 Carway Leasing and Rental is a subsidiary of Carway Enterprise. Our goal is to provide our customers with affordable leasing or rental rates, and most importantly, a fleet of reliable vehicles. 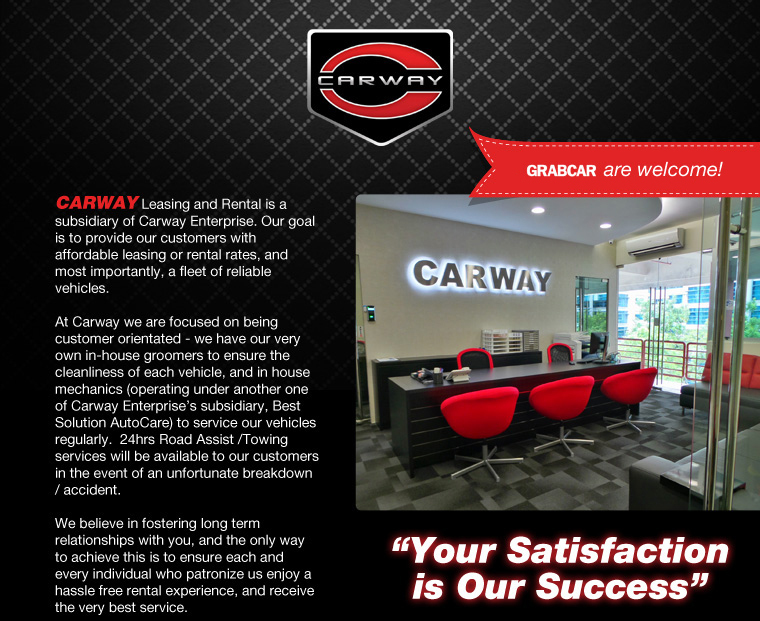 At Carway we are focused on being customer orientated - we have our very own in-house groomers to ensure the cleanliness of each vehicle, and in house mechanics (operating under another one of Carway Enterprise's subsidiary, Best Solution AutoCare) to service our vehicles regularly.